An elaborate Bengali meal might not be your usual comfort food, but if you’re curious to try dishes packed with subtle flavours that are indigenous to the region, head to Baluchi at The Lalit Mumbai that’s playing host to a pop-up Bengali food festival. The ten day event, from 25th August to 3rd September, is specially curated by executive chef Madhumita Mohanta, whose expertise lies in rustling up forgotten cuisines of erstwhile Bengal. “Authentic Bengali food can be intricate. For this festival I wanted to showcase my bond with this food that I have grown up eating,” says Mohanta. We sampled pretty much everything on the menu, that was presented to us in an elaborate thali, and here are the dishes that we think you definitely shouldn’t give a miss. Start off with the Gondhoraj Mangsher Chop which is crumb fried lamb croquets fragrant with lime zest. Seafood lovers can sample the deep fried bhekti stuffed with prawns. For vegetarians there’s Peyaj Postor Bora, pan fried poppy seeds are stuffed in an onion Patty and cottage cheese croquettes served with homemade chutney. Moving on to the mains, there’s the Dhoka Dhokar which is a unique preparation of deep fried gram cake simmered in tomato and garam masala gravy. 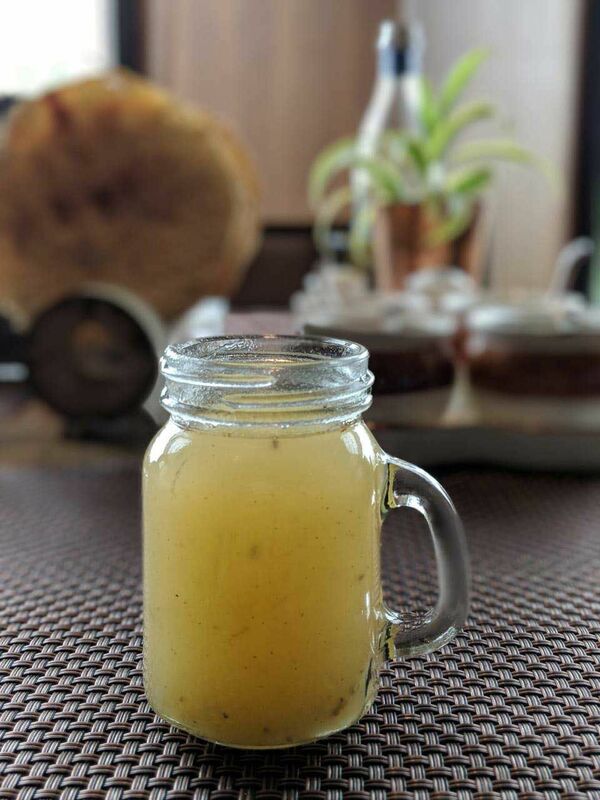 If you’re in the mood for something tangy with a touch of spice, try the Tok - a preparation of Bhekti fish cooked in tangy mustard and tamarind gravy. Meat lovers can make the most of the Railway Lamb Curry which is an Anglo-Indian style curried lamb with a side of potato and eggs. 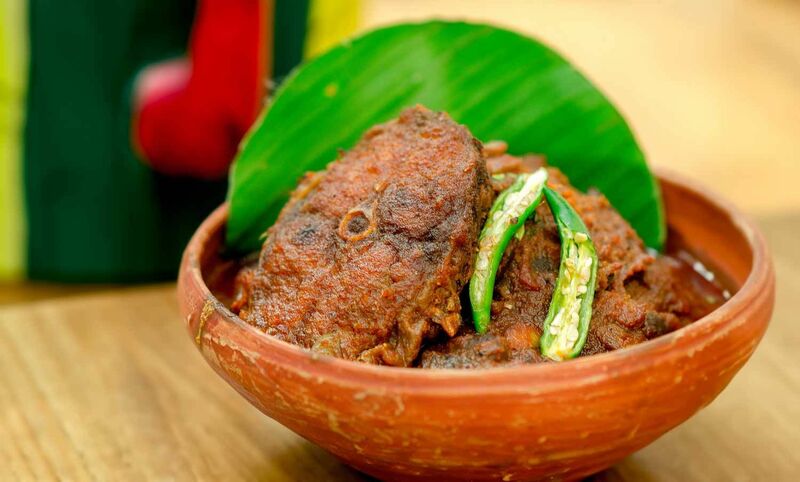 There’s also the popular Kosha Mangsho, a preparation of lamb cooked in onion and tomato curry, best enjoyed with hot and crispy Lucchi a traditional deep fried Bengali bread. Bengali food is synonymous with maach and bhat. The tenderness of the fish combined with just the right blend of sweet and spicy flavouring, makes it a much-loved delicacy. Indulge in traditional favourites like the Chingri Batti Chochori a preparation of prawns cooked in creamy mustard and coconut gravy, or the Kaliya which has boneless Bhetki fish stewed in a rich onion gravy seasoned with spices and garam masala. 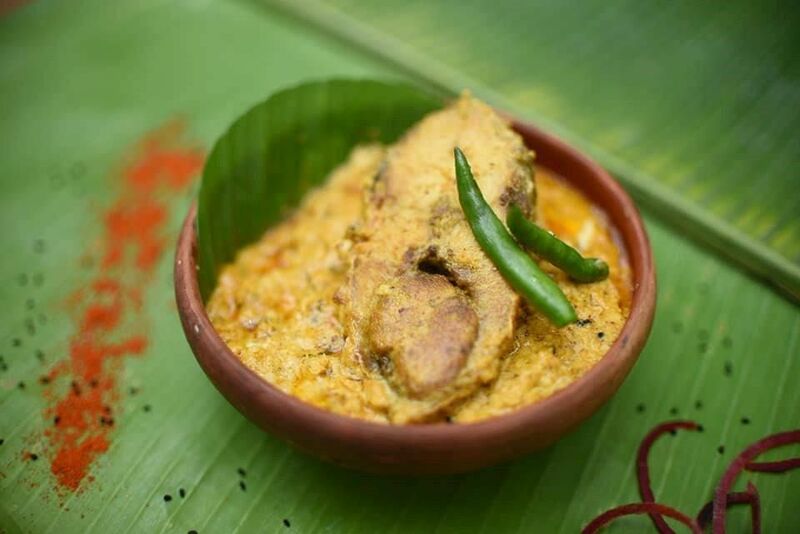 We would also recommend the Hilsa cooked in mustard gravy, a monsoon delicacy in Bengal. If you love desserts as much as we do, finish your meal with the famous Calcutta style Mishti Doi which is a preparation of fermented yogurt sweetened with date molasses.